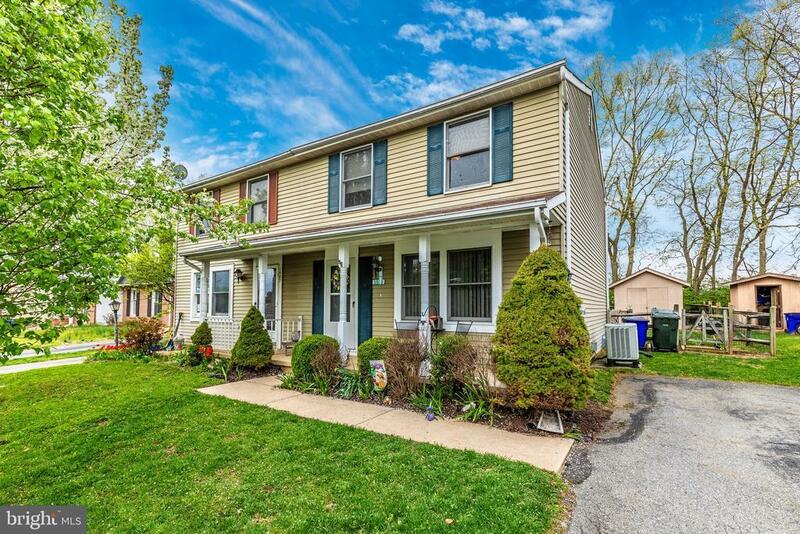 Check out the pictures of this adorable duplex that backs to trees (forest conservation area) close to downtown Frederick with NO HOA! This home features brand new carpet in the basement with a remodeled powder room, remodeled bathroom upstairs, fenced yard, large deck and shed, off street parking for two cars plus plenty of parking out front. Close to restaurants, shopping, commuter routes. Cute as a button! Its a sellers market! Better see it today before its gone! Directions: From route 355 to east on east street to left on 26th Street to first right onto Carey Place to house on right.